Is the 1st Security Force Assistance Brigade Mission Ready? According to Army Times, the 1st Security Force Assistance Brigade, based out of Fort Benning, Georgia, will be making its inaugural deployment to Afghanistan in early 2018, following pre-deployment training at Joint Readiness Training Center at Fort Polk, Louisiana, in January. Astonishingly, this comes less than one year after the Army unveiled the new concept of Security Force Assistance Brigades, which are specifically designed and mandated to train foreign conventional infantry, artillery and other troops, also known as security force assistance. Other security force assistance brigades are in the process of standing up, with one SFAB aligned to each geographic combatant command. Each SFAB is meant to approximate a brigade combat team’s headquarters, with specially selected officers and senior noncommissioned officers who will be trained at the Army’s new Military Training Adviser Academy. The advent of security force assistance brigades as a standing Army capability has not been without controversy, particularly with regard to their relationship to US Army Special Forces. While some of the issues revolved around superficial appearances, such as the choice of beret color, similarity of certain patches and insignia, etc., some of the controversy is more fundamental, relating to the very purpose of the security force assistance brigade. US Army Special Forces has a storied history of training foreign troops, but they haven’t been the only ones, as Gen. Milley pointed out. Two of the most historically significant foreign training organizations, the Korean Military Advisory Group and Military Assistance Command-Vietnam, included conventional troops. More recently, conventional forces have been central to the training and advising of local partner forces in Iraq and Afghanistan. This should be of little surprise, since conventional forces are more suited to teach artillery, armor, aviation and other specialties employed by conventional forces, according to Gen. Milley. Special Forces, conversely are optimized to train, advise, and assist irregular and special operations forces. Over the course of the Global War on Terror, Army conventional units have been heavily relied upon to stand up, train, and advise local forces, particularly in Afghanistan and Iraq. Recently, the Army has sent brigade and division headquarters units to train, advise and assist conventional units, but this practice has created significant readiness problems. On top of the elevated op-tempo for these headquarter units, the deployments interrupt the deployment preparation cycle of the unit as a whole. With the headquarters deployed on a security force assistance mission, the brigade cannot train as a whole for combat deployments, which are increasingly on the forefront of military leaderships’ mind given the increased tensions in Europe and Asia. Enter the Security Force Assistance Brigade. 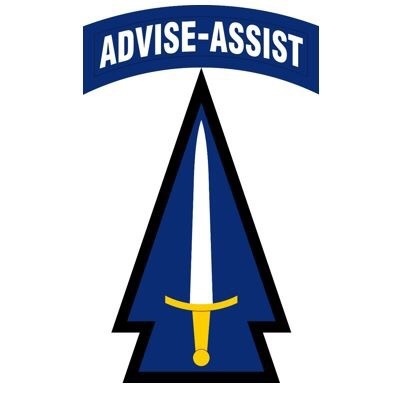 Designed to replicate a brigade combat team’s headquarters, with specially selected and trained officers and senior noncommissioned officers, the security force assistance brigade is custom-built for the job of training, advising and assisting foreign conventional forces. In addition to the concerns already discussed, some have expressed concern that conventional advisers would not be prepared to enter some of the austere, denied environments where Special Forces routinely operate. But while most of the advise and assist missions in denied environments would still go to Special Forces rather than a security force assistance brigades, the SFAB is designed to be able to take on missions where combat may occur. This is in part ensured by the selection process, such as the requirement that volunteers must have already served in a leadership role an operational unit before joining the SFAB, enhanced physical training standards, and a selection rate of only 60 percent. Indeed, some volunteers are actually from the special operations community: one current battalion commander is a Green Beret, and another is on his way from the 75th Ranger Regiment.